Welcome to WestchesterCountyCondos.com, your online source for buying and selling Westchester County condos and townhomes. Use this site to search current listings, get buying and selling advice, view recently sold properties, generate local market reports, and learn your home's current market value. Narrow down your search with our advanced search options, or quickly browse listings in our selected popular neighborhoods. If you are ready to purchase or sell a Westchester County condo or townhome, get in touch and let us help with your next move! 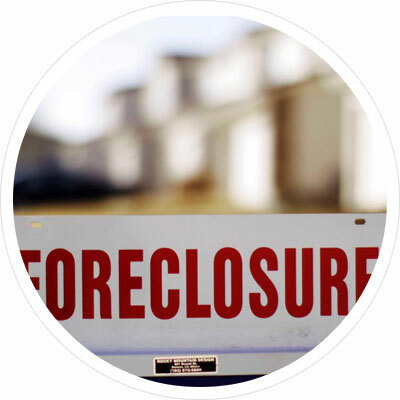 We have over 20 years of experience helping clients throughout the county. Westchester County offers a wide variety of condo options in a diverse range of neighborhoods. From high rise luxury condos in trendy areas, to cozy and affordable units in quiet communities, there is something for everyone. Additionally, there is a good amount of new construction in thriving subdivisions. Meanwhile, prices range anywhere from below $200,000 to well over $1,000,000. First time home buyers can find lots of great deals. Meanwhile, there are plenty of high-end options for more established buyers. 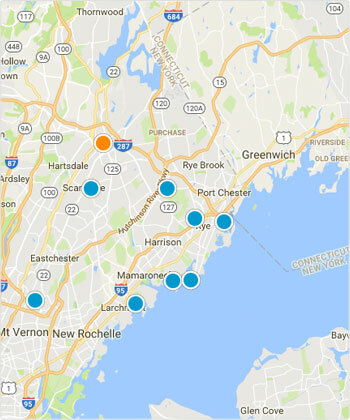 Popular neighborhoods for condos include White Plains, Yonkers, Mount Vernon, Larchmont, Mamaroneck, and Mount Kisco among others. For more upscale buyers, White Plains may be an ideal option. Located just 25 miles west of Manhattan, it sits at the center of Westchester County. Furthermore, it is the County seat, and home to the region's civic center. Condo listings include vast penthouses, multi-level units, and Ritz Carlton residences. On the other hand, bargain seekers will love communities like Yonkers, with its many appealingly affordable condos. Some units even go for less than $200,000. If you are looking for Westchester County condos you have come to the right place. We've broken everything down to make your condo search easy and convenient. Over on the sidebar, you'll find a list of the most popular communities. We also provide a map-based search, so you can easily discover what's around a particular property. Townhomes are prevalent throughout Westchester County's distinct neighborhoods. They vary widely in style, size, and most notably price. From large and luxurious to cozy and full of charm, there is a wonderful variety of townhomes that appeal to a diverse set of buyers. Likewise, communities also differ greatly in character and composition. For buyers seeking more upscale townhomes, communities like Briarcliff Manor, Greenburgh, Scarsdale, and Tarrytown contain great luxury townhomes. Moreover, many are recently built, meaning they are in pristine condition. Scarsdale, for example, is home to The Heathcote, a sophisticated concierge building. Units go for well over $2 million. Amenities include everything from an on-site fitness center to smart home automation. Not to be outdone, Tarrytown features extremely popular 'carriage houses' along Hudson Harbor. These incredible townhomes combine old-world charm with elegant modern interiors. In short, the best of both worlds. When it comes to Westchester County luxury townhomes, there is much to discover. While Westchester County contains plenty of high-end townhomes, affordable options for price conscious buyers are easy to find. Lewisboro, Croton On Hudson, Port Chester, and Peeksill are among the neighborhoods with modestly priced townhouses. Notably, Peeksill includes listings that fall below $100,000. It might be a great option for the first-time home buyer seeking starter property. Over at Port Chester, one can find two bedroom units for under $200,000. There is certainly no shortage of reasonably priced townhomes when it comes to Westchester County. Want to know what's around a condo or townhome of interest? Try our map-based MLS property search. It's a convenient way to learn about nearby schools, shopping centers, restaurants, and other points of interest. Toggle between map and satellite view, specify your criteria, and much more. Additionally, you can set a 'terrain' view option. It indicates if a property sits on flat or elevated land. Want to know the housing market conditions within a certain community? You can easily do so with our sold property finder. Narrow your criteria by property type, subdivision, sale date, price, and more. If you have further questions about a specific neighborhood, contact us directly. Our knowledge of the local market is extremely thorough. We can guide you towards communities with the strongest real estate markets. We can also help you find great deals that most buyers overlook. Owners of Westchester County condos and townhomes curious about their property's value need not look any further. Our home value estimate tool generates a detailed analysis of your property's current market value. The analysis is based on a variety of factors. These include sales of nearby comparable properties, current market trends, and buyer demand. Hidden Ridge At Scarsdale Bldg. Hudson Harbor - River House Bldg.